Educating in the 21st Century: Surviving or Thriving? Consider the profile of a student who is 'surviving' school. appears disinterested, disengaged and bored in class. requires the push from the teacher in order to get going on anything in class. appears to be going through the motions and just 'doing school', seemingly without purpose. is content with simply 'passing' each course. Why are some of our students just 'surviving'? Unlike life outside of school, much of the learning in schools (high schools in particular) is organized in a manner that lends itself to learning in silos. Students attend separate classes for Math, Science, Social Studies, English, etc. Students are asked to learn course-specific concepts and skills independent of what they are being asked to learn in other courses. Of course, there are interdisciplinary connections between the different courses but we too often force students to create the connections on their own. As a teacher it is easy to focus on the course curriculum at the expense of pointing out to students how their learning connects across disciplines. Because we often fail to help students see how their learning fits into a bigger picture, students can feel as though they are being asked to learn decontextualized nuggets of information. And since the lives they live demand the application of interconnected skills and knowledge from various disciplines, they struggle to see the relevance of what they are learning at school. Compare this to the profile of a student who is 'thriving' at school. is highly motivated and passionate about learning new things and ask questions beyond the scope of the class. regularly talks about what is happening at school. takes initiative and explores new ideas. has high expectations and works hard to achieve his/her goals. What can lead to more of our students 'thriving'? 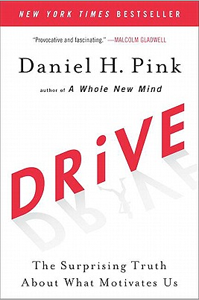 Daniel Pink (@danielpink), author of Drive: The Surprising Truth About What Motivates Us argues that three factors (autonomy, mastery & purpose) contribute to enduring motivation. The following are some quotes from one of his recent webinars. Autonomy: "the technology for engagement is self-direction"
Mastery: "the single biggest motivator is when people are making progress in meaningful work"
Purpose: "how & why are they doing the work?" I believe we need to create more opportunities for 'big-picture' learning, where students explore big, important questions from a range of angles. Through self-driven inquiries, challenges and initiatives students should engage in authentic interdisciplinary learning opportunities that they are passionate about and can see are relevant to their present and future lives. propose problems and challenges they wished to solve? propose initiatives they wished to accomplish in their school and community? share their learning and progress towards self-directed inquiries and initiatives with the school, community and the world using a variety of technologies? 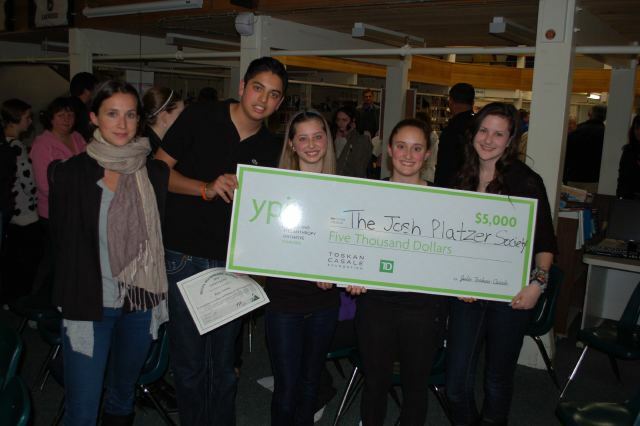 An example of what this might look like is the Pathways program at Mount Abraham Union Middle/High School where students, through a personalized program, develop their own curriculum and become invested in inquiry. My guess is that if we allow students greater opportunity to personalize their learning, they will be more motivated to learn and experience more fulfillment from their learning. I would hope this would contribute to fewer of our students surviving and greater number of them thriving!